Southwest Tours invites you to sample our unique style! Every detail of your tour has been planned to provide you with the best vacation experience possible. 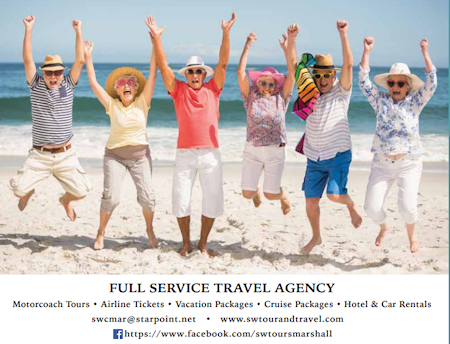 Our goal is to bring you the best travel opportunities. Guaranteed Departures – Our 2016 collection of Guaranteed Departures can take you to your favorite destination in the United States, Canada and many exciting places around the world. That’s right, Guaranteed Departures. When you make a reservation on any of these scheduled departures you can be assured that the trip will operate. It is guaranteed to go! Available for Groups – Southwest Tour and Travel will customize any tour to meet your group’s special needs, including custom air, motorcoach or cruise combinations. If your group is too small to fill an entire tour, we welcome you to join one of our scheduled tours. Also, the tours mentioned in the travel guide may be available on other dates for preformed groups. We have booked shows and attractions well in advance to give you the best seats possible.